Christmas is over = The frame is painted!! When a milestone is reached, it's time to celebrate. Our target was to paint the frame before the Christmas 2015 was over and here it stands in machine metallic gray. Same stuff from another point of view. Everything was set for workshop progress today. We met up and gathered around a cup of coffee and since we're prepared for the most drastic disaster, we didn't show any sign's of frustratuon when the coffee machine basically blow up. Instead we made quick swap to a spare brewer. 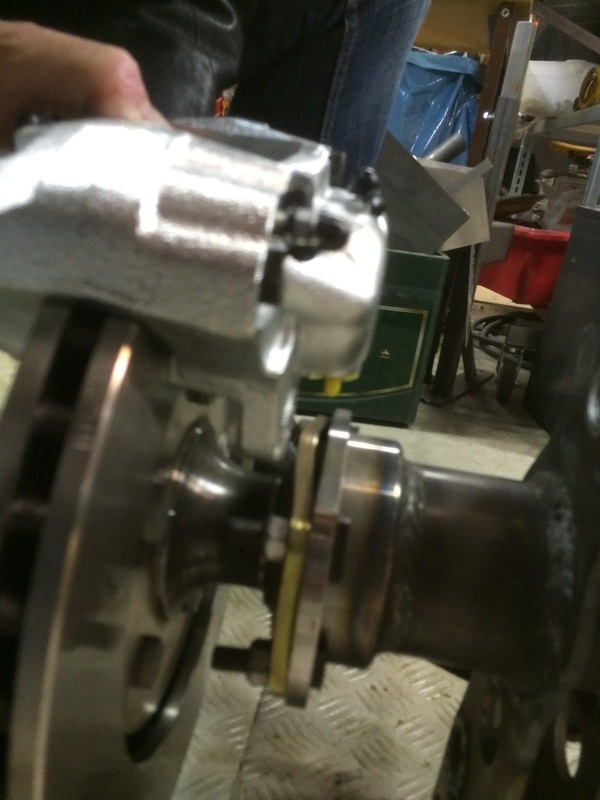 Magnus were busy working with oil and cooling pipes for the life giving turbo's. 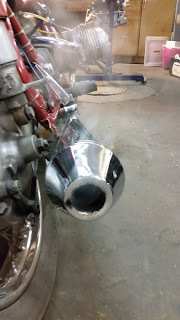 Cutting up and weld the pipes that Hakan has bought as suitable donor pipes to modify. Magnus takes the opportunity to play the turbo flute. Turbo drain pipes should have a steep slope. Like this! We're good! One funny detail is that Hakan designed some of these turbo pipes (some or many years ago) but he´s rather old now, not slow, but old. Anders had been extremely productive and therefore he has arranged a poor mans spray boot with some ventilation devices, to handle the spray fog from the water based paint. Every one covered up what they wanted to protect, and as usually, the one that spray paint in a big common garage is the most hated person if it goes bad. Therefore, Anders spray boot contraptions was assembled with support from others. A first and good layer of primer was applied. Then, out of the fog, came the speedy frame all dressed in hard working speedy machine paint. I kept on working on the cooling tank and focusing on the internal fixation of the two Volvo V70 coolers with pipes and hoses. The coolers are to be set up in series. As always there is an improvement of ideas and we will probably add a circulation pump for the water in the tank to avoid local hot spots. Planning, thinking and doing. A think tank. 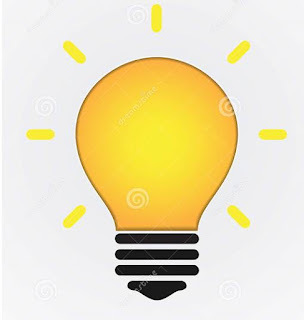 Besides of working we are heavy in to dreaming and discussing different vehicles to buy and we have some interesting ideas in pipeline which will be revealed in the future pending that we don't change our minds. Currently, we are all in for pick up trucks of different types. 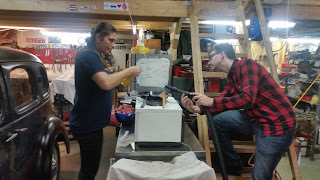 Carina started to wax her C20 which is right now in the Salt Slush workshop for some winter TLC. Carina, her father-in-law and the C20. Since it's Christmas Day, Carina and I took a break from Land Speed project. While Magnus, Anders and Kalle worked like there was no tomorrow, like ants, like...I had to bail out to fulfil a promise. I told Cina I could give her another one. But no, that didn't help. At all. How it all began. A happy wife at Mooneqipment in L.A. Yes, she likes only this steering wheel. Which is ok. I'm happy too! The sun is shining. No clouds on the blue sky California sky. Merry Christmas and Creative New Year ! ... a boosted high power Christmas! Anders has made a poor mans paint booth. 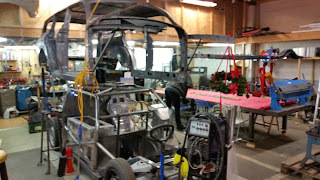 Will we be able to paint our frame / roll cage this Christmas/New Year? Carina is planing to take care of the her small, blue C20 pick up truck. Will she have time to fulfil her dreams? I'm planing to work with the Amazon cooling system and as well produce some tables for my wife's kitchen shop. Will this be possible? Håkan is running around like a crazy while taking care of the Salt Slush turbo business and at the same time he's preparing for the arrival of his and Carina's Ford 1946 Club Coupe. How will this end up? A sunk ship that never arrives? A stressful moment? Or a glorious relief? Nobody knows. 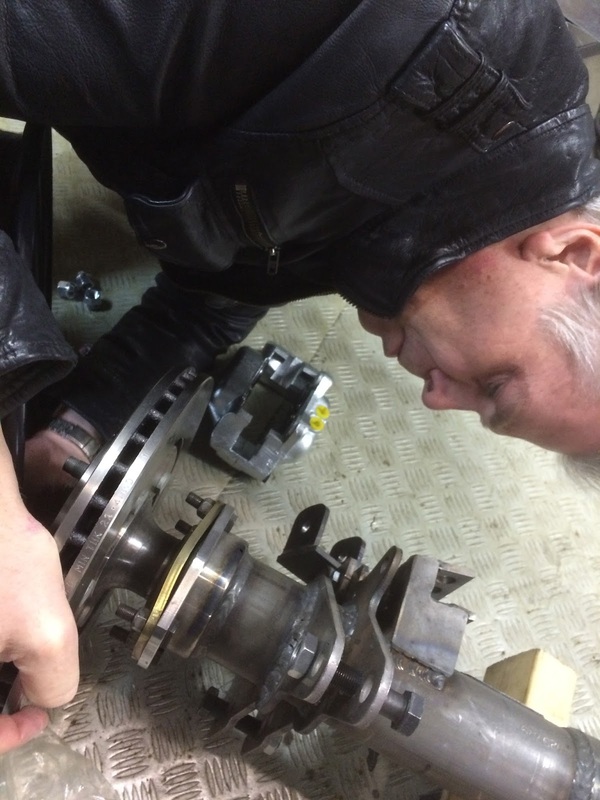 Magnus is preparing a pulse split turbo manifold for his private daily drive, while he's creating a glorious gasser. 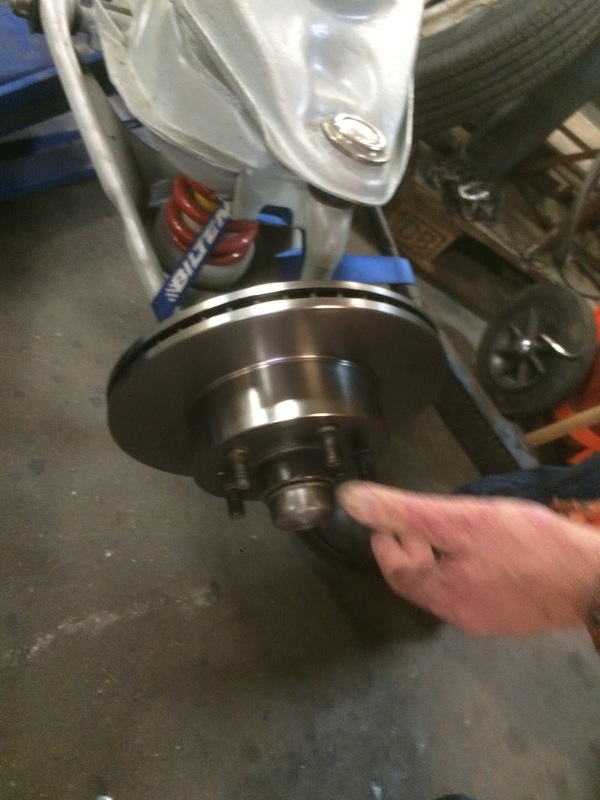 Serious turbo and hot rod projects while working hard at Volvo Car Corporation. Will he really manage? At the same time, Magnus is waiting for his Chevy pick-up to arrive from US. A good looking pair of wheels...which, as well, will need some serious TLC. But right now now, everything and everybody is ready for Christmas Eve and Salt Slush Racing Team is no exception. Therefore we're waiting for 2016 and it's cheerful, painful challenges. Again, from All of Us to All of You! A Merry, Speedy Christmas, full of Boost! No respons from Santa yet. Hoho. -What happening? We're stubborn enough to move on anyway and since Santa doesn't to hear our calls....Magnus started to work with cost reduction activity himself. But NO Magnus, SSR team will not approve this solid looking front end design no matter how charming it is. Which is why Magnus bitterly started to weld a little bit here and there, in order to soothe his soul. And how about this? Look at the left weld seem. Amazing. A lucky shot or a grace of god? Nobody will ever know, but the rest of the team was not comfortable. There was envy in the air. Me? I don´t care. At all. Just as you know. To seal the deal. Salt is dusty. Salt is sticky. That's why we'll keep ourselves clean by keeping the vehicle sealed. Sealed of. No salt. No pain. we're good. In the dark and misty morning of 19th of December 2015, Gothenburg was gloomy place. Cold rain was dripping over people as they were queuing up to buy useless Christmas presents...and since it was half a year to summer, depression was hanging in the air. This was the state of things everywhere in the....but what is this? No, not everywhere! In the Salt Slush Racing workshop the light was on and the spirit was high! How can that be? What make us so active? And why? It all started with a healthy coffee drinking session in which plans were made and various crazy ideas was exposed to other gear heads. Then we drove to Mr.Santa to pick up Crager Wheels with (hopefully) the correct off-set. A cheerful event. Yes, we assembled immediately on the Currie rear end. A nervous moment. Anders and Magnus are lowering the Amazon body over the new rear end assembly. Did they measure correctly? The answer was, slightly surprisingly, Yes! When Cina started up her old Beemer a week ago she realized that a service was needed, which is why old fuel and old lubes are replaced by fresh fluids. I guess the bike will shine like a crystal ball when she's ready with the service. To be used at home instead of the boring old tree perhaps? When Magnus disassembled the front end from the frame, his associative mind was in full speed. As usually. While, small kids make wish lists before Christmas, car guys write To Do lists. The positive type is written with starry eyes and a broad happy smile...that To Do list represent the creative, happy and naive phase of a car / bike / race project. It's an exiting period when there's only possibilities. 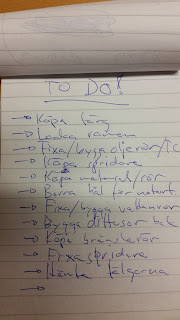 It normally involves writing car guy type of shopping lists as well. Then there’s the other type of To Do list…the stressful list which represent a period which all creative people have to go through. I’m taking about the period when you feel that you’re almost ready or at least have reached a milestone in the project. When there's just few things left to fix, then your good to go…out of the workshop and hit the road with screaming tires in you new hot ride. 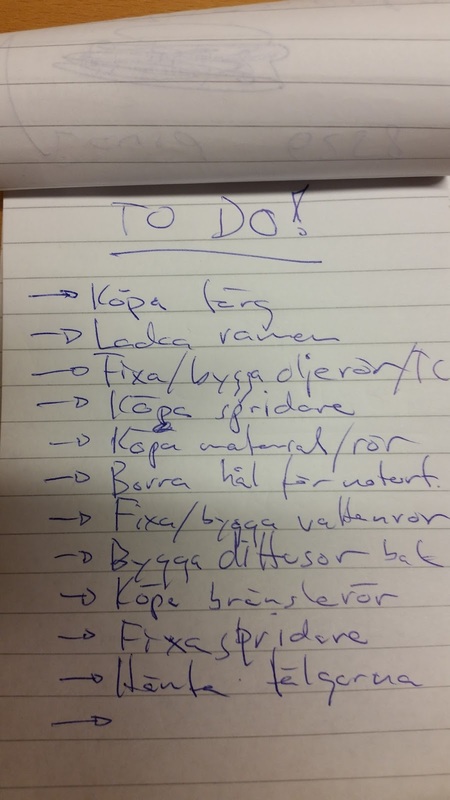 Then you make the To Do list. While anxiety is growing, you realize that there’s more work left then it took to build the Pyramids. At this point in time, making a shopping list doesn't cheer you up either, since you're often well over budget. Luckily, the SSR team is currently creating To Do lists as if there was no tomorrow. Paint the frame, make in-vehicle plumbing, buy zillions of small parts, weld, design and build a diffusor, start the electric system design and, and...celebrate Christmas. But we're happy as kids, since we know that there's something nice with Christmas. Normally, Salt Slush invite for a big Christmas Party, but this year we just needed to relax, which is why we just invited a small group of gear heads and made a workshop chili. No bands, no big arrangement, just a cleaned up workshop, some good food and some cold beers, while people playing the garage piano (Thanks, Mats!) and candle lights that spread light over rusty old friends and newly welded parts. Relief, workshop mindfulness, you name it, for us it’s fantastic. Workshop cleaned up.The frame fixture table is converted to a Christmas table, while the A-Ford frame serve a chandelier. No smoke without fire. We couldn’t help starting up Cina’s old beemer as we cleaned up after the party. Yes, we needed to open up the garage doors afterwards. So, no progress with the Amazon landspeed racer this weekend? Well, as the night grow older, we solved a lot of complicated technical problems…and yes, in addition we started to build the oil pipes and drains for our turbo system. 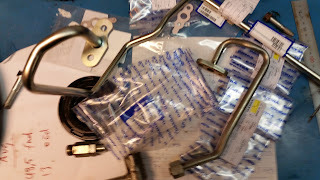 The pluming is not ready, but we have parts and ideas.